Tina is a founding Partner at Hawthorne & Vesper who is engaged in the general practice of law with a primary focus on matrimonial and family law. Tina has been trained to represent children and is often appointed by the courts as an attorney for children in matrimonial and family law matters. As a dedicated advocate, Tina also frequently represents persons who could not otherwise afford an attorney in Supreme Court and Family Court through the Bar Association of Erie County Assigned Counsel Program. As a long time resident of Western New York, Tina was awarded a B.A. from the State University of New York at Fredonia in 1997 and a J.D. from the State University of New York at Buffalo School of Law in 2004. Tina also attended the University of Toledo School of Law in Ohio. 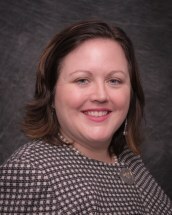 Tina is a member of the American Bar Association - Family Law Section, New York State Bar Association - Family Law Section, and Bar Association of Erie County - Matrimonial Committee, Practice and Procedure in Family Court Committee, Surrogate Court Practice and Procedure Committee, and Young Lawyer's Committee. Tina has been appointed to the New York State Bar Association's Family Law Section Committee on Child Custody and Committee on Family Court. Tina's professional career is enhanced by her loving family and friends. She is a wife and mother of three, as well as an active member of the community in which she resides.